With school back in session homework and classroom routines are in full swing. Students everywhere are learning new skills and brushing up on old ones. While students are busy working hard both in and out of the classroom it is important to make sure they are prepared with all of the tools they need to succeed. While most parents make sure students have the school supplies they need, quiet time for studying and plenty of reading materials, sometimes the most important tools are overlooked....like prescription eyeglasses. As teachers we see it every year as the new school year begins. Students complaining about school and becoming frustrated and overwhelmed. They sometimes complain of headaches or not understanding what is happening during instruction time. The signs are generally very subtle but they all point to one thing...your child needs glasses. Most children especially young ones have a hard time conveying that they are having difficulties seeing, so as parents and teachers we need to be vigilant in looking for some early warning signs like holding items at an angle or closer than normal to read, squinting, finding closer seating during whole group instruction, and headaches or other signs of strain or tension. 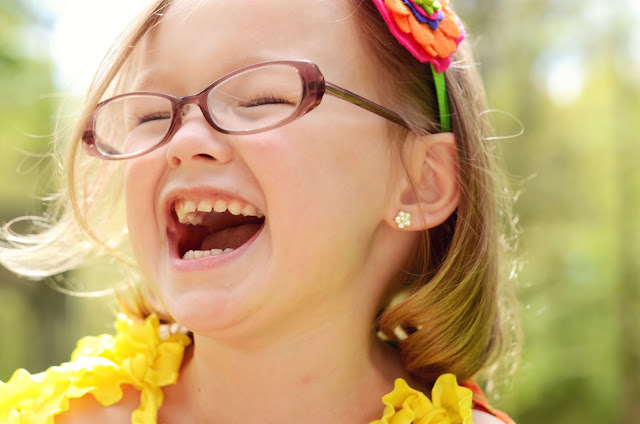 These signs can all be indicators that your child might need a vision screening and be fitted for eyeglasses. Teaching first grade I have had my fair share of parents whose children showed signs of vision impairment, all were screened early and fitted for some pretty cool eyeglasses. Glasses now are very durable and made for young ones in mind. There are fabulous colors and styles that help your child to express their true style. Places like GlassesUSA.com offer affordable options that are both kid friendly and for parents on a budget. If it's time to buy glasses let your child be the one who picks them out this will help their self esteem, change is hard especially a change in appearance. So if they go for the neon pink ones, let go of the control and encourage them to express their own style. After all they are the ones wearing them day in and day out. So as your kids settle in to the new school year watch your child as they work, listen to their complaints and don't always assume that they just don't comprehend the material being taught. Difficulty in the classroom might just be related to a vision or hearing impairment, so be diligent and ask your school nurse or pediatricians office for a hearing and vision screening to ensure your child is as successful as they can be. Have your children test out this fun new way to try on glasses and find the perfect pair!